There was no speaker (as such) but lots of people spoke about Robbie Burns and his life and poetry during a lovely and successful evening with a few partners and friends. 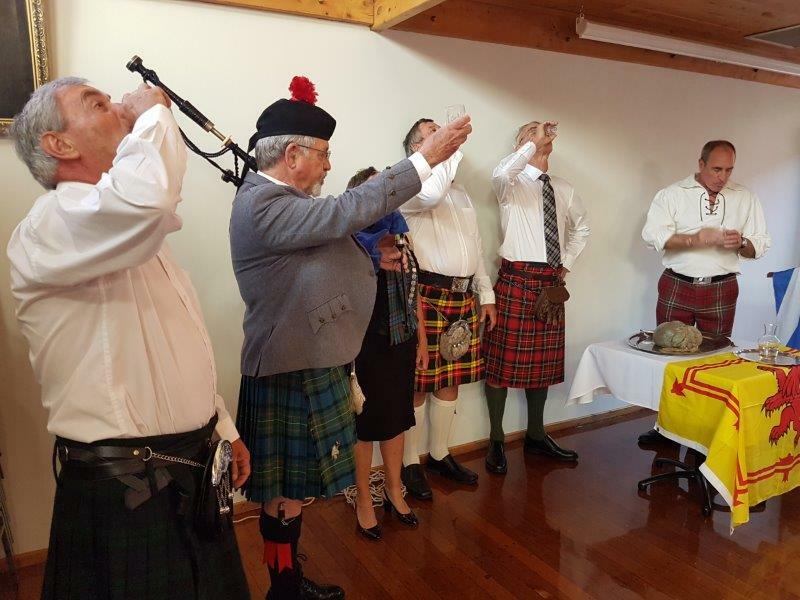 Piper Laurie Bond from the Wellington North Rotary Club piped in the Haggis with Graeme Blick carrying the haggis, Ron Lucas the whiskey, followed by Jenny Lucas our President, Graeme Wallace and Eric Fairbairn. 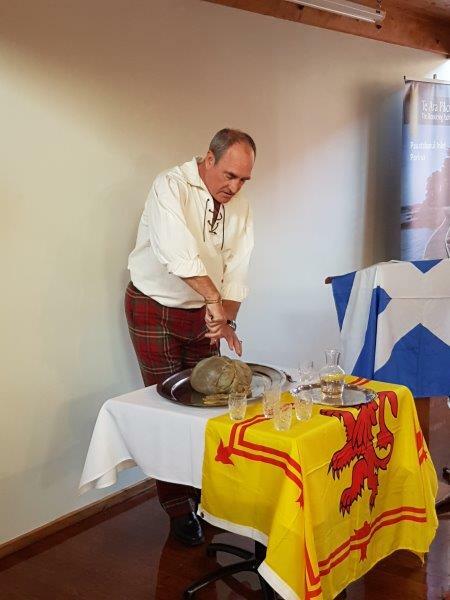 Eric spoke with much vigour the traditional Address to the Haggis stabbing and ripping the haggis apart as he went. Quite a stirring rendition of the poem. The traditional whiskey was shared amongst the group while the rest of us simply watched them from our tables. After the haggis was taken away to be provided as part of our dinner the team was piped out doing a round of all the tables before departing the room. Following dinner, Laurie Bond told us about the life of Robert Burns who seems to have quite an eye (and much else) for the ladies before marrying his childhood sweetheart Jean Amour in 1788. Jean and Robert had nine children together, the last of whom was born on the day of his funeral in July 1796. 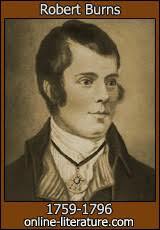 Robert was also known as Rabbie Burns, the Bard of Ayrshire, Ploughman Poet and various other names and epithets. He is widely regarded as the national poet of Scotland and is celebrated worldwide. Eric Fairbairn made a ”toast to the lassies” which was very funny and made fun of the woman’s role as head of the house. Deb Mair replied with a “Toast to the Lads” also making light of the role of the men in the family. Jenny Lucas read a poem by Robert Burns “Red Red Rose. 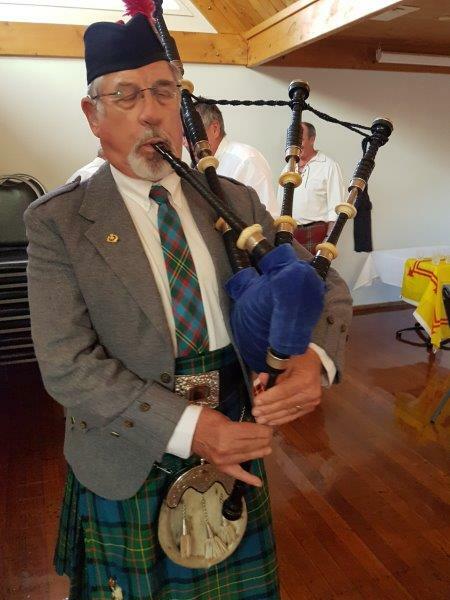 We finished the evening with “Old Lang Syne” the music provided through the pipes by Laurie and then a second poem in the English language - which is close to but not the same as Scottish, read by visitor Ken Harris. 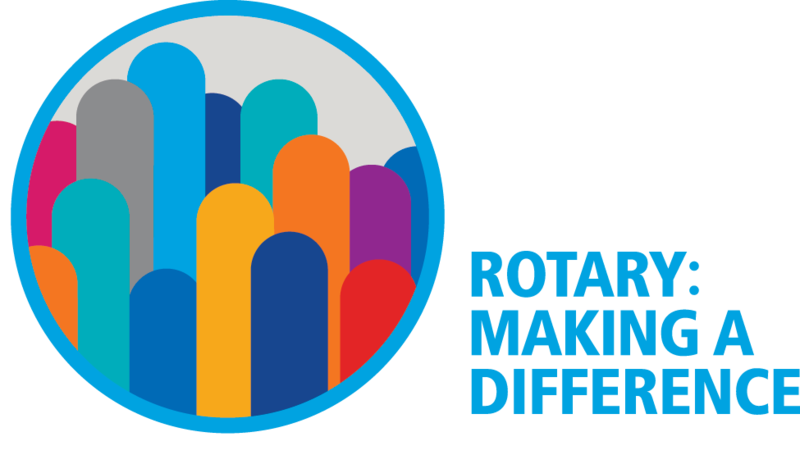 In case you missed it, here's an 'End of year salutation to Rotary District 9940' from DG Mitch. You may not have had the opportunity to read the blog written by Adrienne about Playable Porirua. You can catch up here and now with this exciting project. You'll no doubt remember when Jan Nisbet came to visit us to talk about the Paekakariki Bike Library. The Daily Encourager caught up with her too as you can see here. She's getting well-known. The PressReader caught up with her too here. And you may also remember Mark Shanks who spoke to us on the same day. He's looking for Instructors for after-school programmes and camps. Check it out here. Many thanks to all those who have helped in the lead up to the Pauatahanui Garden Trail which is this Sunday, 28 January 2018. Ticket sales are down considerably from the last two years and the team will need to consider whether this project continues. Phillip Reidy will provide a review of the event in the next few weeks. Return of the “Get Together – Friday evenings on the last Friday of the month so 5 pm at the Co-op in Whitby on the 26th January. 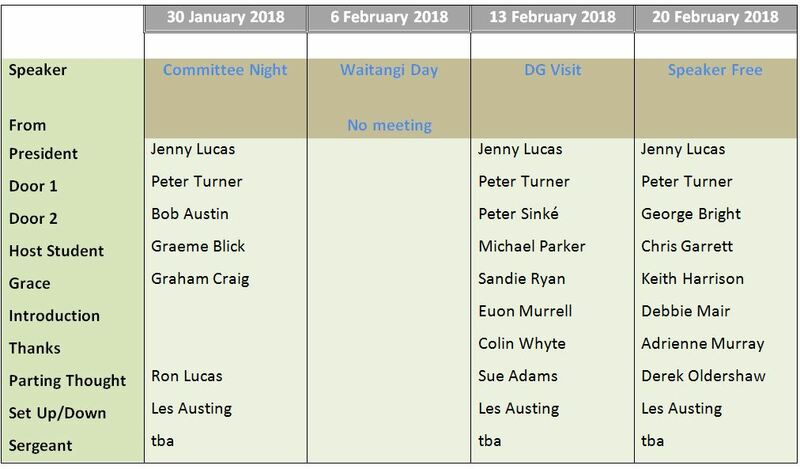 Tuesday 30 January will be committee night as there will be NO meeting on 6 February as this is Waitangi Day. DG Mitch will visit the Club on 13 February. We will make this a casual evening – jeans and tee-shirts or shorts and jandals. 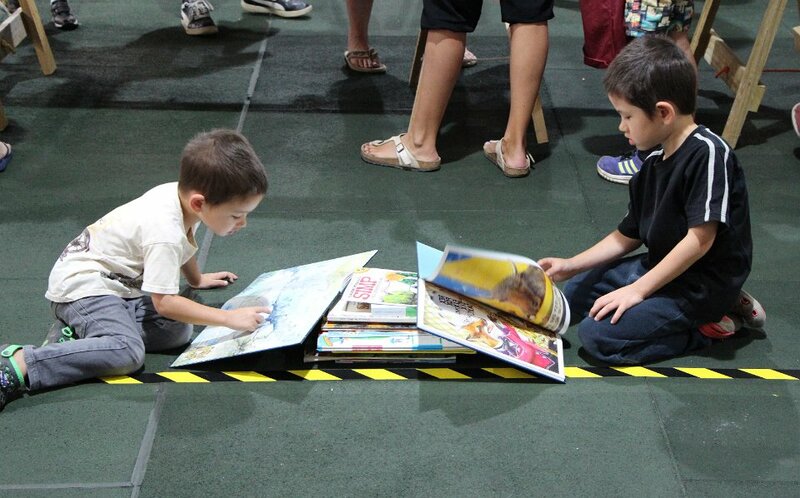 Gwyn reports that the Book Fair stalwarts have collected, sorted and stacked almost 500 boxes since last April. 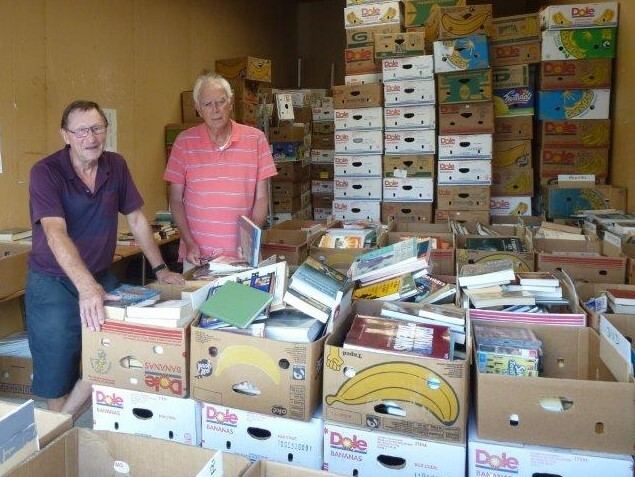 Kapi Mana will be advertising the 16-18 March event on 13 February, at which time donations will ramp up and Allan Nichols will be looking for the usual suspects for collecting and sorting. Collection points are the same as they were last year - P & Z in Porirua, Professionals in Whitby and Tommy's at Mana. All the usual suspects have been shoulder tapped to assist - but Allan would like to hear from anyone else who would like to take part in collecting and sorting this year and if possible have an ongoing involvement in organising future years. New volunteers are needed urgently. Ideally, they should be 7 feet tall with gorilla-like strength. Failing that, any members with time available and reasonable health will be welcome. A stint of 2-3 hours is the norm. Allan himself will be away from 28 January until 13 February so please refer any offers of books to either Philip Whearty or to Gwyn during this period. Railway Station and roadside signage will be in position on or about 2 March. The cost of printing and distributing flyers commercially to every household in the area has become prohibitive so will not occur this year. A number of coloured A4 flyers will be produced for our members to place in retail shop windows, workplaces etc and will be available to members in the first week in March. Allan has now posted the event on our Events page here so that you can draw attention to it by sharing the link with all your friends and family. Joel Bowater is our RYLA student. Joel joined us for the evening and I can report that he thoroughly enjoyed the evening although we explained to him that this was not a normal meeting. RYLA started on Wednesday so he is now part way through the course. He will speak to us about his experiences at RYLA sometime in the next few weeks. Discussions on a suitable location for the Men’s Shed continue. There may be a property available at Kenepuru on the old hospital grounds. Watch this space. Original generation time 2.5616 seconds.